Simone Ferrari scored his first international try as Italy started their autumn international campaign with a 19-10 victory over Fiji at Stadio Angelo Massimino on Saturday. Carlo Canna booted an early fourth minute penalty to get Italy off the mark but the scores were levelled at the end of the first quarter with Ben Volavola slotting a penalty of his own. Ferrari on his sixth outing for Italy, scored the opening try in the game that came in the 27th minute with Canna adding the extras but their efforts were once again negated by Fiji after Leone Nakarawa went past the line allowing Volavola with the conversion. Both teams scored 10 points each heading into the half time. 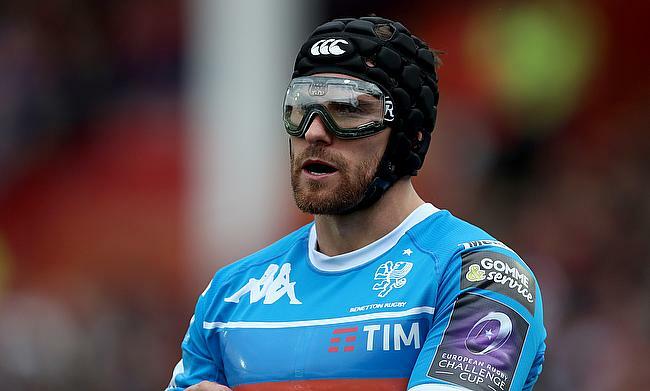 Canna added a further two penalties after the interval to move Italy ahead before Ireland-born Ian McKinley - who lost the sight in his left eye six years ago - came off the bench to make his Test debut and booted a last-minute penalty to wrap up the victory. Italy will take on Argentina next on 18th November while Fiji will face Ireland on the same day in Lansdowne Road.